UPDATED: AUG 5, 2016 Tolles Pflaumenmalzaroma. Farblich wundervoll rubinrot, doch leider bleibt der Korpus ungekrönt. Der Trunk dann solide säuerlich, hefig mit dezenten Barley Wine Verweisen. Im kurzen Nachtrunk dann auch zu viel Hefe. Wenn man bedenkt das es sich um ein Doppelbockbier handelt, sicherlich recht speziell. 0,33l Flasche von BREWCOMER Kiel für 4-5 Euro. 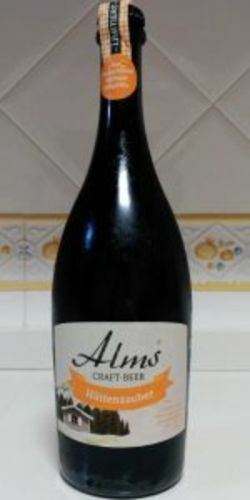 Bottle 75cl @ El Corte Ingles, Seville, Spain. A: Hazy amber. T/S: Malt, caramel, bready. Pretty amber-reddish colour, with an offwhite two fingers head that holds for a while. Persistent lace. Aroma of nuts, not really sure, maybe hazelnuts, orange. Medium body, creamy and sticky palate. Taste of nuts, again, maybe hazalnuts, chocolate, oranges. Good. Marrón anaranjada, apenas espuma. El aroma preesenta naranja amarga y frutos secos. En boca es equilibrada, de predominio dulce, algo Licórica. Bastante lupulada también. Naranja, licor, madera. Pelin cansina. Pero no está mal. 750 mml bottle tasted on the 17/04/2016. Hazy dark brown color with off-white head. Aroma of malts, caramel and basement aromas. Taste is bready and malty. Next one please!